Can you believe that summer is almost over? 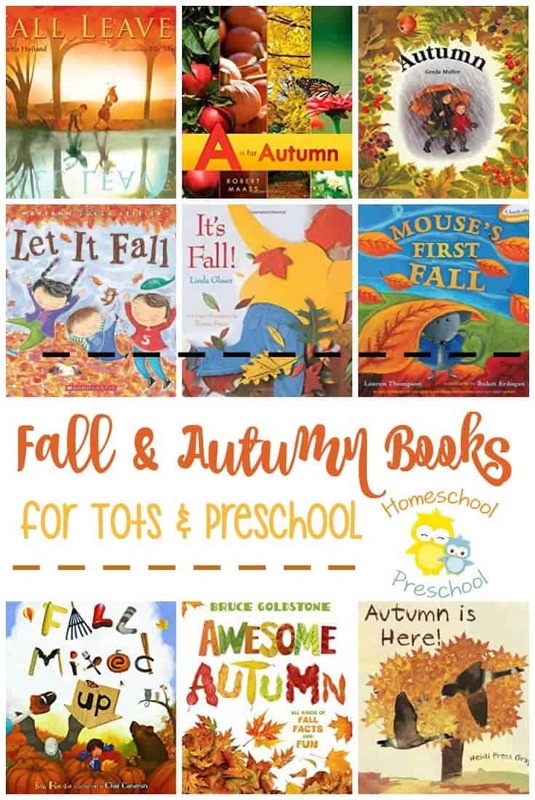 That means it’s almost time for a brand new homeschool preschool year! Have you started thinking about the new school year yet? I know that many of you have begun to make plans for the new year. You’ve shared with me your plans for the first few months of school. You’ve told me what themes you’re planning and some of the skills you’ll be focusing on. 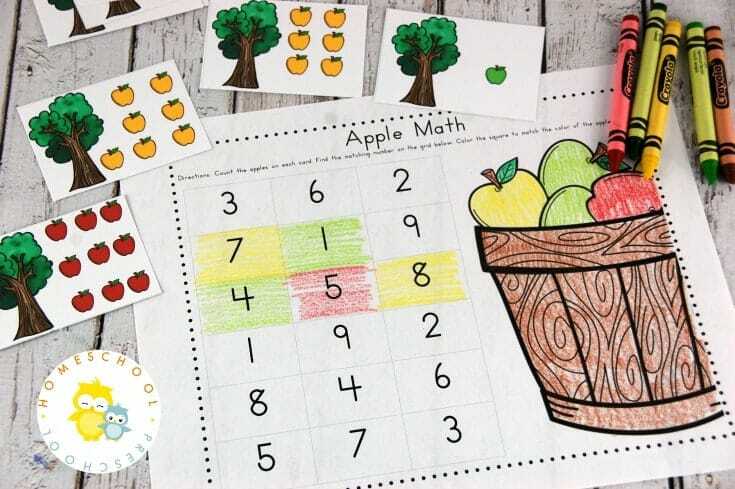 To help you kick off a new homeschool year, I’ve got some fun apple-themed math activities for you. These activities will help your preschoolers practice counting 1-10. 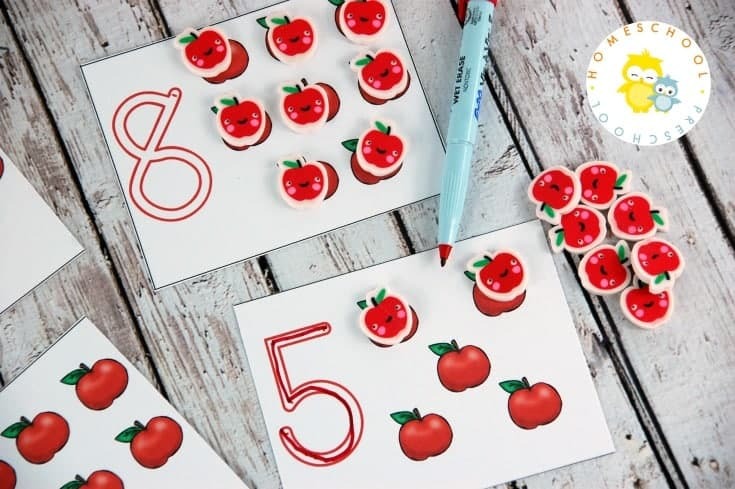 All you need to get set up for these apple math counting activities is a box of crayons, a pencil, and some apple counters. I suggest laminating pages 4-9 and 11. Since students will write on pages 3 and 10, I would print those on regular printer paper. Students will identify and trace the number in the box. Then, they will color the same number of apples in that section. This activity helps kids practice writing their numbers from 1-10. They also practice one-to-one correspondence and counting as they color in the apples. Laminate this activity and cut apart the cards and counters. If you have some apple counters, apple mini-erasers, or red and green pom poms, you can use those as counters. If not, just use the apple counters included on the third page of this packet. Have students choose a card. Identify the number on the bottom right corner of the card. 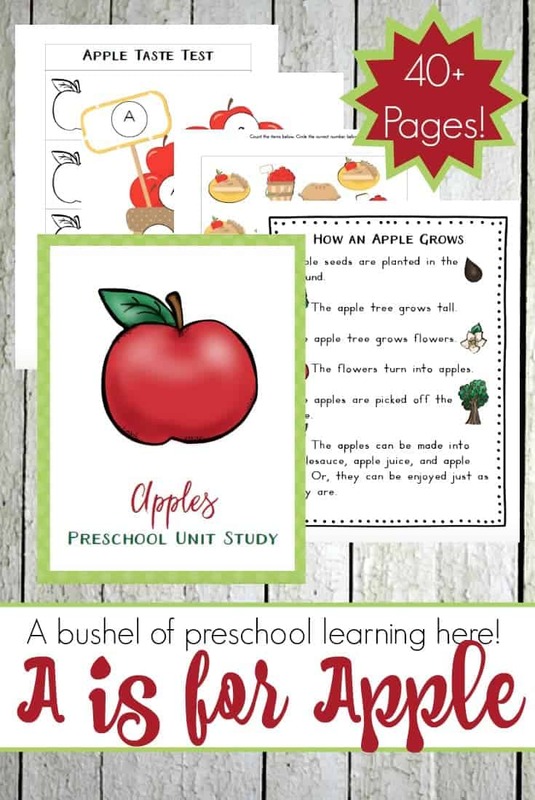 Preschoolers will then add that many apples (or counters) to the apple tree. As students add their counters, have them count out loud. This will give you a chance to see if they are saying each number and in the correct order. Cut out and laminate these cards. Have your students trace each of the numbers with a wet-erase marker. Then, as your students count out loud, have them cover each apple with a counter – erasers, buttons, pom-poms, etc. Before using the cards again, use a wet paper towel to wipe off the marker. Print out two sets of counting cards and one recording sheet. Mix up the counting cards. 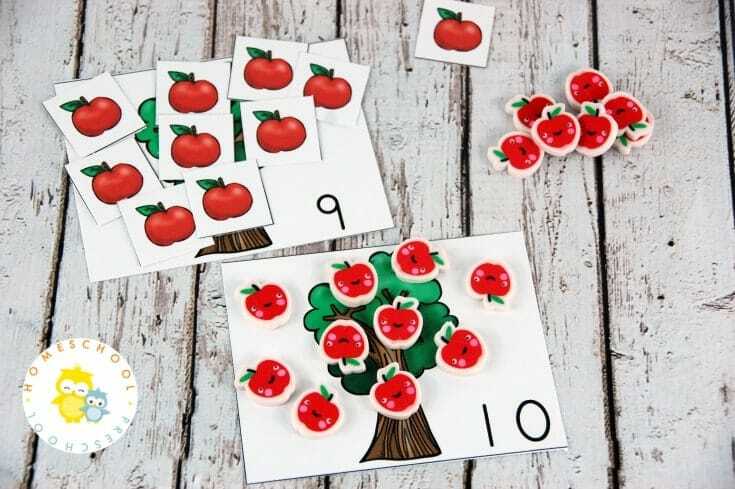 Have students choose one card and count the apples on that card. 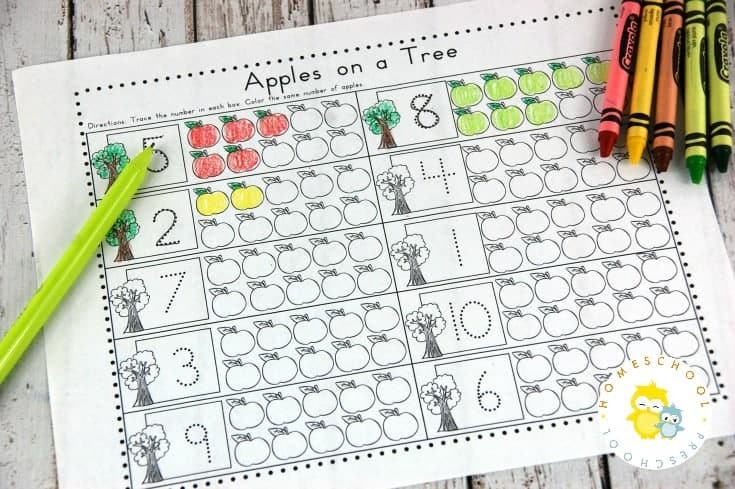 Then, once your child finds that number on the recording sheet, have them color the number the same color as the apples on the card. This activity has your child counting from one to nine and identifying each of those numbers. 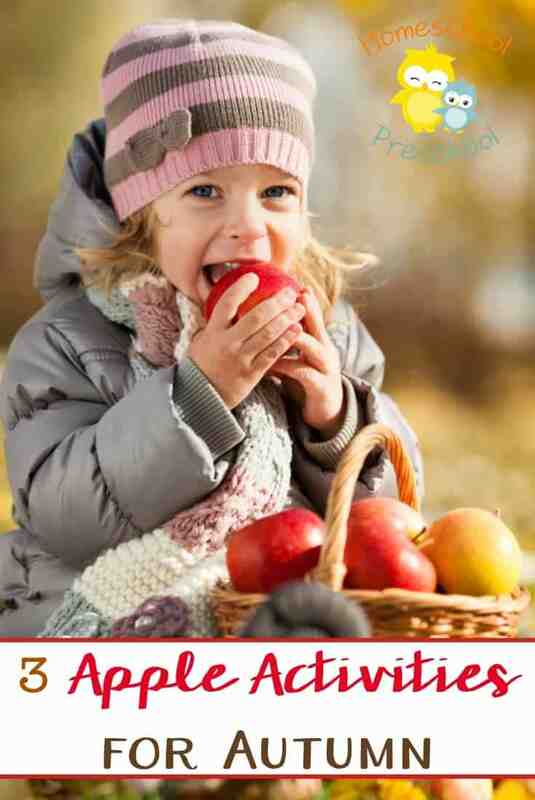 I hope you and your preschoolers enjoy these apple math activities! They’re perfect for back to school. 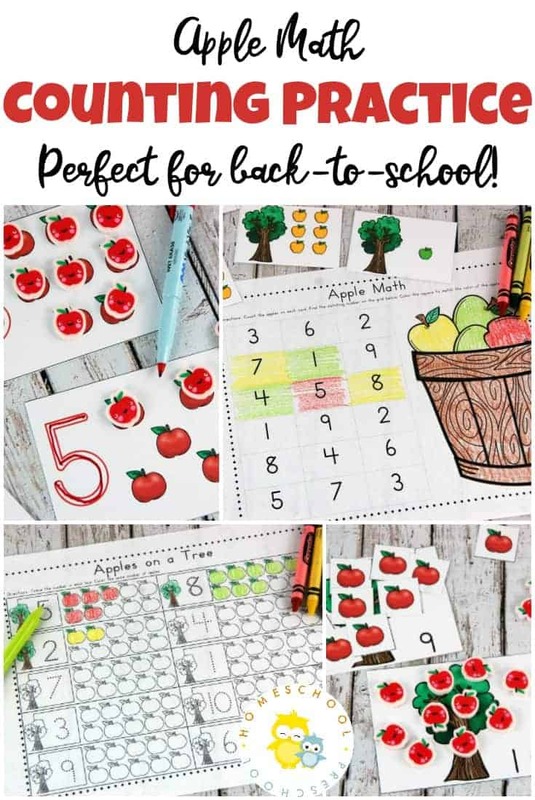 Be on the lookout for more back to school printables in the days and weeks to come! In order to access your freebie, click the image below. Enter your email address, and the link to download the file will be send to your inbox. The only way to use the printables is to download them and print them out.